Everyone says that time quickly passes, but does it really? 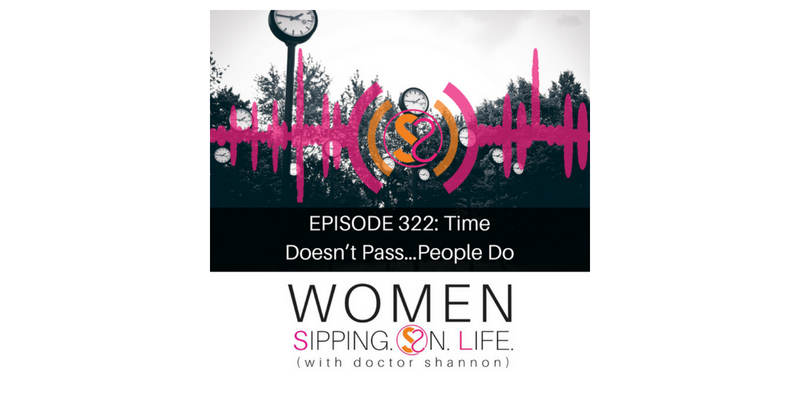 Are you passing time, or present IN your time? Time is time is time. It ticks by as it’s always ticked by. Even as we get older, it’s going the same speed as it always has. 60 seconds in a minute. 60 minutes in an hour. That’s that. So why does it feel as though there’s never enough of it, and it’s moving so fast? Why? Because you/we are quickly passing. How are YOU passing through your life? Stop proclaiming that time is going by so quickly. Because time has gone where YOU have gone. Are you present while you’re doing what you’re doing? Time isn’t passing by. You are passing…how are you doing what you do as you pass through? Put yourself in it…the motion of doing it…it will create the emotion for continuing to do it. Proclaim it. Begin practicing living your life in the present. Begin practicing the life that YOU desire to live. PRACTICE…do this for an entire week, and let me know what happens for you.